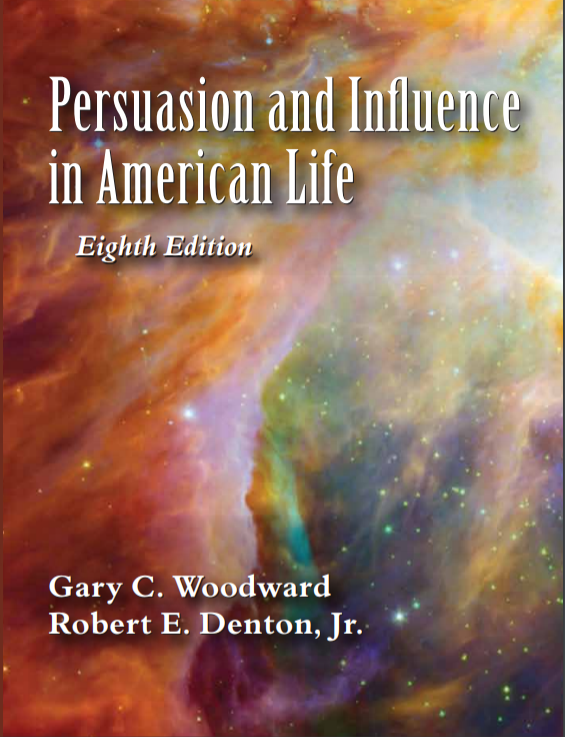 The eighth edition provides a streamlined, up-to-date presentation of classic and contemporary theories of persuasion. For more than three decades, the authors have guided readers through the cultural, psychological, and sociological forces influencing why, how, and when humans change their minds. Exploring the complexities and subtleties of persuasive attempts from interpersonal interactions to political advertising is essential for making informed judgments about the value of increasingly pervasive messages. The practice of persuasion is no longer limited to a select few and formal audiences. Online networks with unprecedented reach extend opportunities for multiple persuaders and peer-to-peer influence. Woodward and Denton acknowledge the opportunities and challenges posed by social media and various digital platforms. The final chapter emphasizes visual communication and core strategies for the construction of short messages tailored for digital and commercial media. Engaging descriptions and multiple examples illustrate the dynamic, interactive nature of persuasion. Short sidebars in every chapter suggest interesting applications of key ideas. Becoming responsible, ethical, and credible persuaders and/or critical consumers of messages is an intriguing, and sometimes surprising, journey.